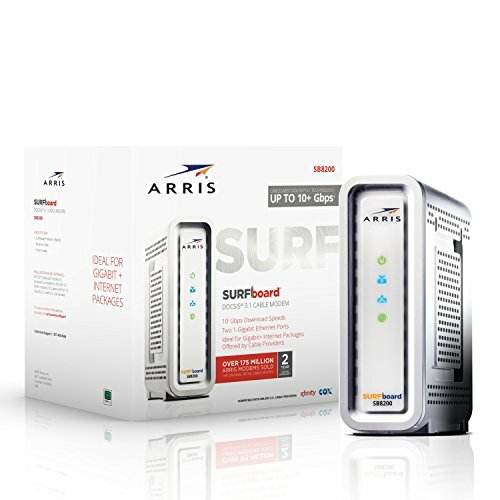 If you want a top of the line modem, look no further than the Arris SB8200 Docsis 3.1 cable modem. With 32x8 channels & 2 gigabit ethernet ports, the SB8200 was made for the highest internet speeds that cable companies provide. Arris is a trusted name in modems and this device should last for many years to come. This modem does not have telephone or Wifi built in. We recommend a quality router (AC1900+) or mesh routers to get the full wireless speeds.